The Theatre on Chester has been providing the community with quality theatre in North Epping since 1956. 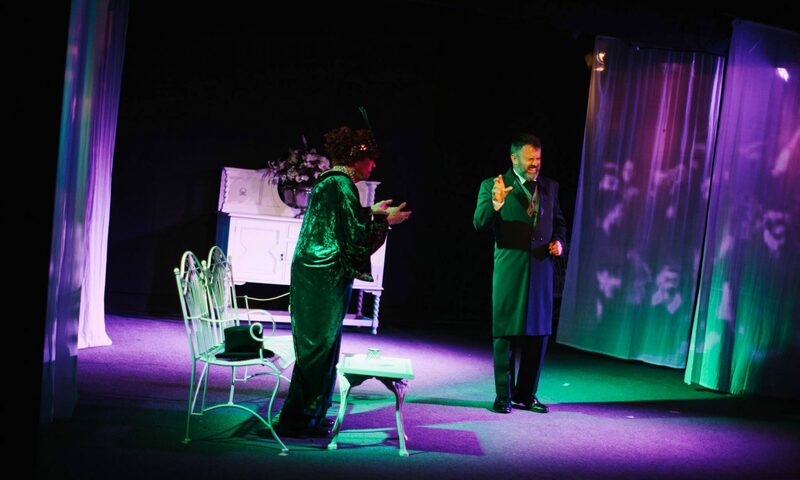 The Hypochondriac – written by Moliere, in a new version by Richard Bean, directed by Andrew Castle. Who’s Afraid of Virginia Woolf? – written by Edward Albee, directed by Carla Moore. The Accidental Death of an Anarchist – written by Dario Fo, adapted by Gavin Richards, translated by Gillian Hanna. Directed by Kaye Lopez. Summer Rain – books and Lyrics by Nick Enright, Music by Terence Clarke, directed by Joy Sweeney. Transparency – written by Suzie Miller, directed by Linda Lorenza. Over the Moon and Far Away – written and directed by Carla Moore. The One Day of the Year – written by Alan Seymour, directed by Kaye Lopez. The History Boys – written by Alan Bennett, directed by Carla Moore. Money and Friends – written by David Williamson, directed by Linda Lorenza. It Just Stopped – written by Stephen Sewell, directed by Linda Lorenza. Kindertransport – written by Dianne Samuels, directed by Carla Moore. The Women – written by Clare Boothe Luce, directed by Joy Sweeney. The Servant of Two Masters – written by Carlo Goldini, re-written by Nick Enright and John Blair, directed by Carla Moore.